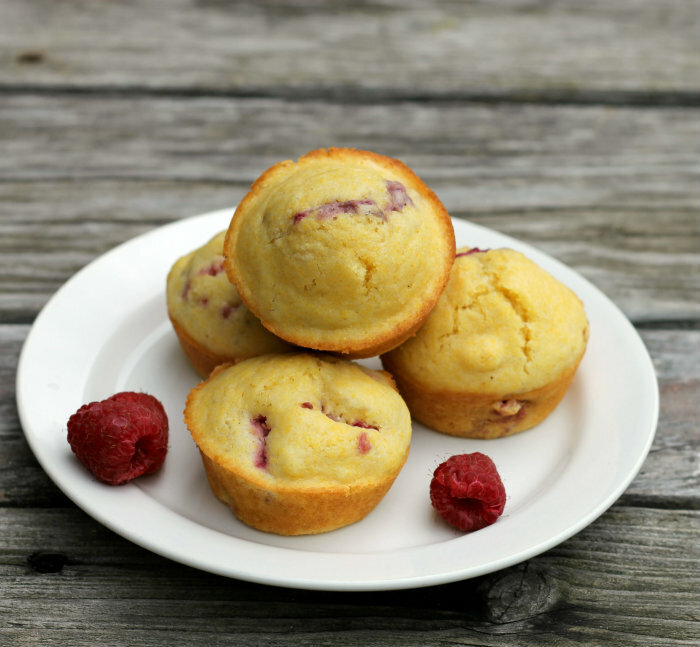 Want muffins that are easy to make and takes little time to make, try these corn bread raspberry muffins. Darn-it, I just found out that it is National Doughnut Day today. If I would have only known a little in advance this would have been a post all about doughnuts, but instead I have muffins. Close, right? I don’t normally follow food holidays, even though I think that they are fun. Some food holidays seem to be out there more than other. Like National Doughnut Day, it seems like it’s all over the web today. My daughter even mentioned that it was National Doughnut Day. Fun right? Did you have your doughnut today? I wasn’t that lucky. 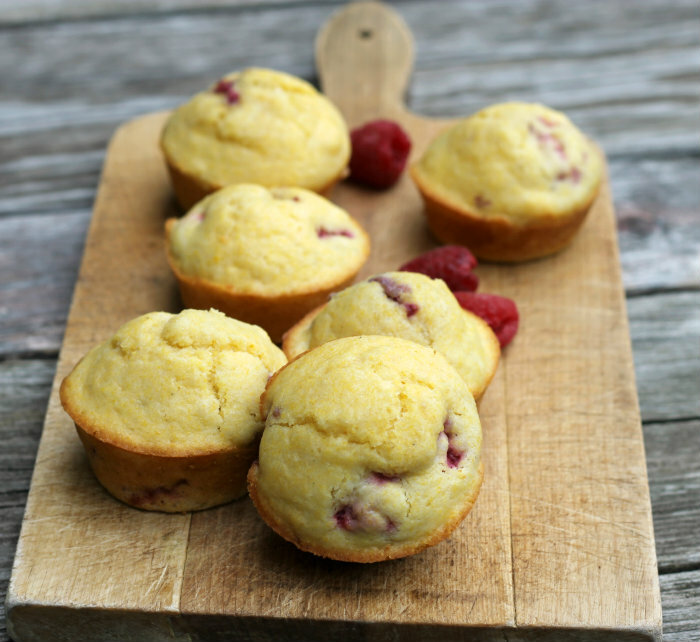 But I did nibble on one of my corn bread raspberry muffins so I don’t feel too left out. I wonder if they have a National Scone Day? If they do, I will be there!! Corn meal is not something that I don’t keep in my pantry normally. But my kids were all at home visiting last month and I was planning on making a big pot of chili for one of the meals. When I asked them what I should make with the chili, they all answered corn bread. So I purchased a container of corn meal and after making the corn bread the rest of it has been sitting in the pantry. Being the breakfast food fanatic that I am, I decided to use it in some muffins. I used the recipe that was on the container, but of course I had to change it just a bit. 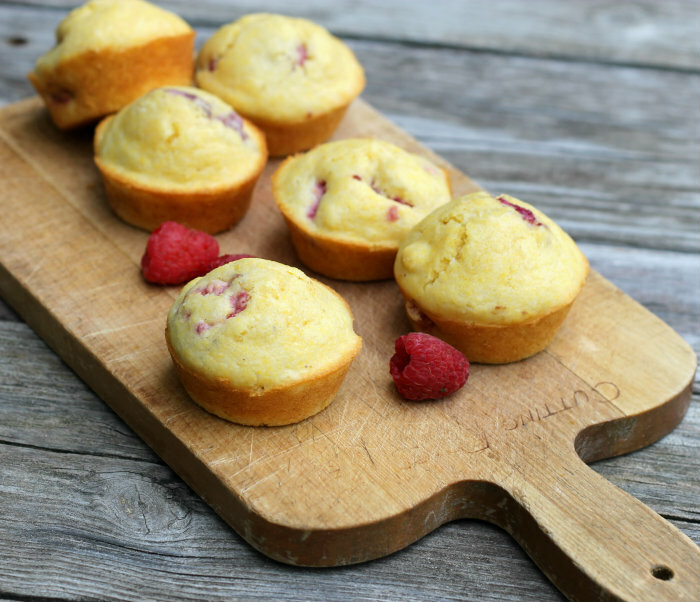 There were raspberries sitting in the fridge that I thought would go perfectly with the corn bread. This was certainly the case. Need an easy muffin recipe; corn bread muffins are super simple and delicious. I hope you give them a try. A heads-up next week I will be away from my blog. We have family visiting and I want to be able to enjoy them without worrying about posting to my blog. I will see in the week after. Combine the milk, vegetable oil, and egg in another bowl and mix slightly. Add to the dry ingredients. Slightly combine the wet and dry ingredients, add the raspberries and mix the ingredients just until the ingredients are combined. Do not over mix. Spoon the muffin mix in muffin prepared muffin tins (that have been greased or lined with paper cups) just about to the top. Place in the preheat oven and bake 15 to 20 minutes. Test with a wooden pick, when insert and it comes out clean they are done. 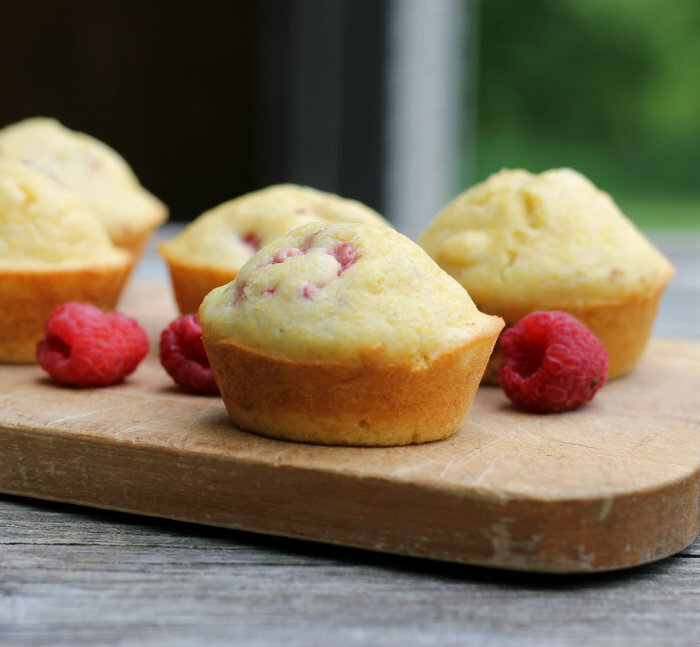 I’ve put cranraisins in cornbread muffins before but never thought of raspberries. What a great idea. 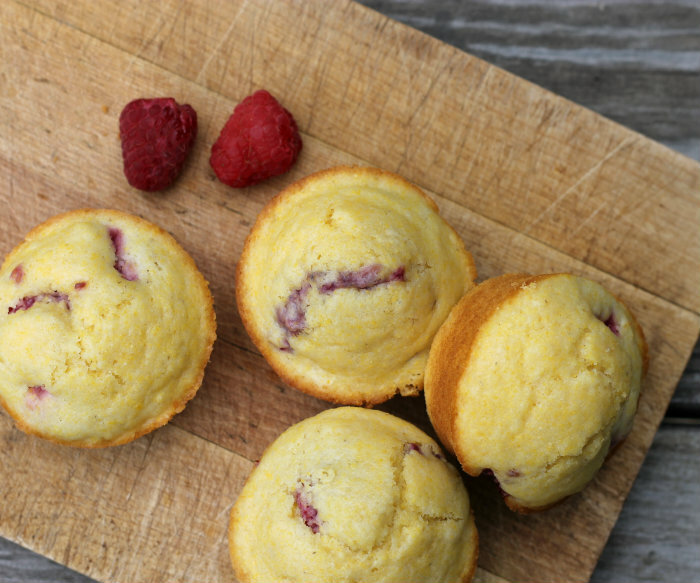 I love the add of fresh raspberries in those cornbread muffins. They are not only beautiful. also very delicious and healthy. I didn’t realize it was national doughnut day either and am now kicking myself for missed doughnut eating opportunities! I would say muffins are a totally reasonable replacement though. Love the sound of these! Love cornbread and muffins! Don’t make it much, but it’s always good. Love the idea of raspberries — really tasty. Thanks!